The deadline for applications 30 April 2019. 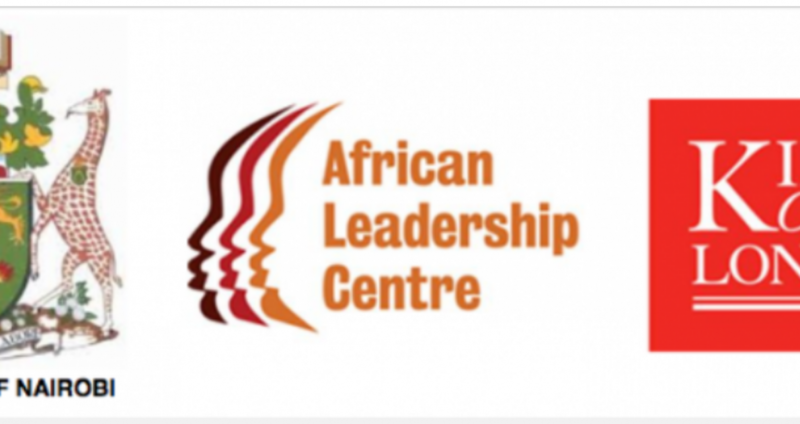 The African Leadership Centre (ALC) was established in Kenya in June 2010 as a joint initiative of King’s College London and the University of Nairobi. 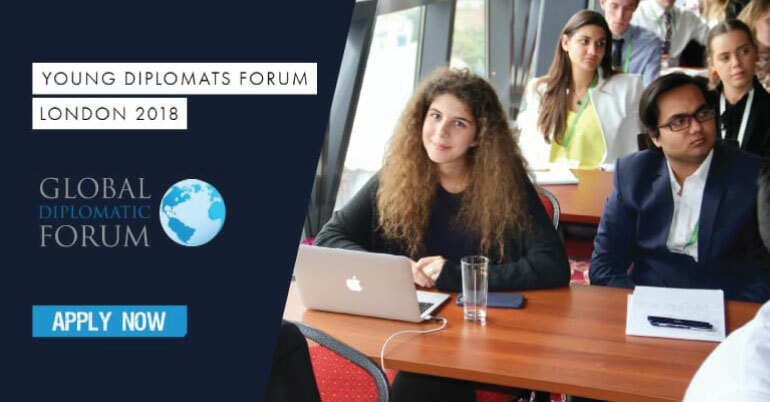 Creating and strengthening digital knowledge transfer platforms and policy influencing processes. applicants must be accepted on both the MSc programme by King’s and the Fellowship Programme by ALC. Independent thinking; Integrity; Pursuit of excellence; and respect for diversity in all its forms. Phase 1: The first phase consists of a 12-month training programme based at King’s College London. This phase will comprise of regular group mentoring sessions with renowned academics, policy analysts and practitioners. It will also include a taught Masters programme in Security, Leadership and Society, which will be taught at King’s College London. For a large part of this phase, Fellows will be based at King’s College London. In addition, Fellows will spend brief periods at the African Leadership Centre in Nairobi and Institute for Development Studies at the University of Nairobi, where they will be required to undertake research and deliver research papers on peace, security and development in Africa. Institutional Visits: During the 12-month period at King’s College in London, Fellows will undertake visits to academic, policy and research institutions working on issues of peace, security and development. Phase 2: For the second phase, Fellows will be attached to select partner universities in Africa, for a period of 6 months. During this time, Fellows will work as faculty members and contribute to academic and policy research among other activities. This phase is designed to encourage the dissemination and exchange of ideas on the issues that were studied during the first phase of the programme. Mentoring: During both phases, Fellows will have access to the programme’s network of mentors, in the form of regular group mentoring and training on key thematic issues. One-on-one mentoring sessions will also be encouraged, so as to help guide students through the programme. and disseminated amongst institutions of higher learning, in the region. This phase of research and writing will last for 6 months. Application to King’s College London: Successful applicants will have the status of full time MSc students in Security, Leadership and Society. It is necessary for applicants to the Fellowship Programme to make individual successful applications to the MSc Security, Leadership and Society by 23:59 hrs, 30 April 2019. Please note it is likely that an English Language Proficiency test will be required in order to gain unconditional acceptance on to the MSc. 1) Student Visas: All foreign students at King’s College London will be subject to the immigration rules of the UK, which can be found on the King’s College London web page for obtaining student visas. The offer of a place on the programme will be subject to successful candidates obtaining a student visa. Obtaining a student visa will necessitate an UNCONDITIONAL offer for the MSc Security Leadership and Society. Failure to obtain a visa to enter the UK automatically invalidates the offer of a place on the programme with no consequences to King’s College London. Responsibility for processing and financing all visa applications rests solely with successful candidates. The implementing organizations will provide necessary documentation as needed. 2) Expectant/Nursing mothers: Given the intense nature of the programme including its short phases in different locations as well as necessary extensive travel, successful applicants that are expectant or nursing mothers while encouraged to apply, will be advised to defer their admission to the programme. 3) Medical Exam: Successful applicants will be required to undergo medical examinations at recommended venues prior to taking up their positions, in order to aid visa applications and to confirm your fitness for undertaking the programme. 4) Programme completion/Return to base:The programme will last a total of 18 months. During phases 1 and 2, Fellows will be expected to make full time commitment to the programme. It is a condition that successful candidates shall return to their base or home countries at the end of the programme. This is a fully funded opportunity, not including any visa application and processing costs. Funds will be made available to cover tuition, subsistence in the UK and Africa, accommodation, research-related costs, and all travel expenses related to the programme. able to apply for University of London accommodation, and they can also make their own accommodation arrangements. Candidates are strongly advised to make all necessary accommodation arrangements well in advance of taking up their positions at King’s College London. Before you begin your application, please take time to carefully go through the online application guidance available here. Applicants to the Fellowship Programme must make individual applications to the MSc Security, Leadership and Society by 23:59 hrs, 30 April 2019. ▪ A letter of application detailing your relevant experience and qualifications. ▪ A supporting statement no longer than 1,000 words, detailing why you think that this programme is important and your future plans for engagement with peace and security research. ▪ 2 letters of recommendation (To be received directly from the Referees by the deadline of 23:59 hrs, 30 April 2019. Applicants will provide names and contacts of referees; referees will then receive an email notification asking them to submit the reference). ▪ One writing sample (maximum 2000 words – example can include original research paper, extracts from dissertation, essay paper, policy paper etc). What is the predominant vision of peace for Africa’s youth and future leaders and what role do they envisage for the state in the realization of this vision of peace? o What differentiates experiences of statehood in Africa from other places? How have those differences affected the nature of leadership in Africa? o How are evolutions in technology and new media altering societal responses to security, development and leadership challenges in Africa? o How are international and global policy approaches to conflict prevention influencing African states and regions, if at all? o How are African regional organisations responding to the rapidly changing African security landscape? What are the most significant ways in which global leadership challenges are shaping the role of the state in Africa and with what impact forsecurity, peace and development? All supporting documents should be submitted via the online portal. Please note that no email applications will be accepted. If you are experiencing problems with the online application portal,please contact them at admissions@africanleadershipcentre.org. They encourage all applicants to submit their applications early to avoid delays and failure to submit because of technical challenges.